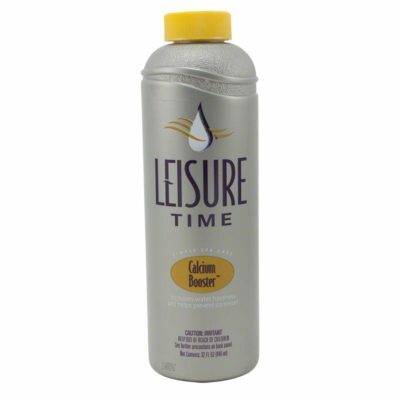 Leisure Time Defender is especially designed to prevent scale formation and aid in removing existing scale to prevent precipitation of dissolved solids. Using this product regularly will help prevent mineral buildup from occurring and causing the spa’s heater or equipment to fail. 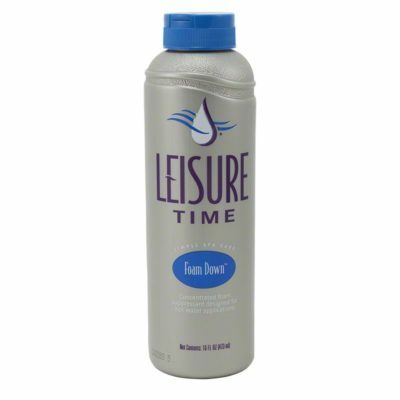 Leisure Time Defender is the perfect follow up to Leisure Time Metal Gone, both applied at start-up. 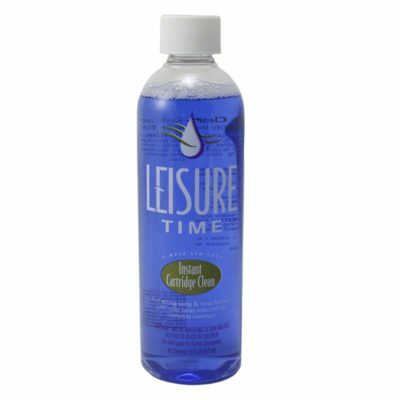 This product is compatible with all hot tub and spa sanitizing chemicals. 1. Use this product when water is cloudy. For best results, use this product weekly. Add recommended dosage directly to the spa. 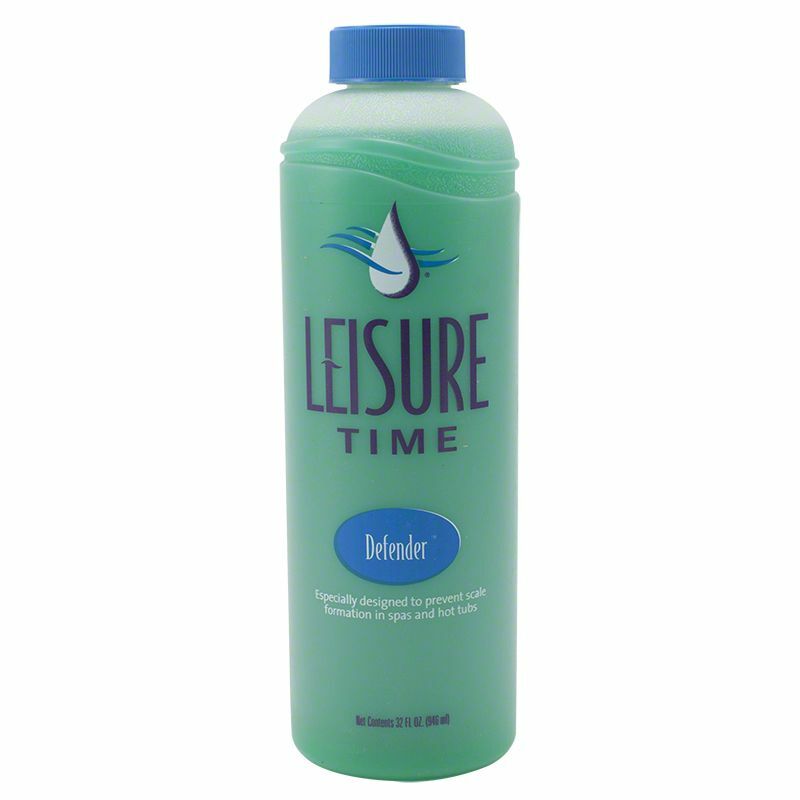 For spas up to 800 gallons, use 2 fluid ounces of Defender. For Spas over 800 gallons, use 4 fluid ounces of Defender. 2. Turn filter system on for 1 hour.